We just received a new shipment of Journey Through the Bible! You are invited to beautiful Montgomery Alabama this weekend to join me in two gatherings. First, a leaders luncheon on Friday. You can find details here. Speakers include Don Hart, Scott Brown, Brandon Scroggins, Jonathan Rodgers, Tom Ford, Ben Character and Curtis Bowers. What does it mean to sing Christianly? Christian singers are teaching one another. The songs we sing in congregations do not stop there. They have a long life. What we sing at church is what we hum in our hearts. What we hum in our hearts we sing in our homes. What we sing in our homes we belt out in our cars. What we belt out in our cars we hum while we work. What do Witch Doctors and Prosperity Preachers Have in Common? 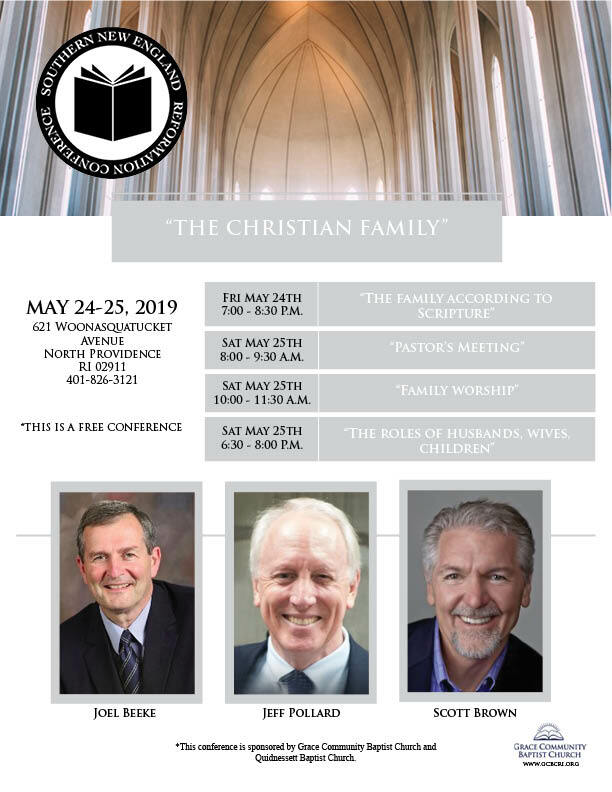 Join me along with Joel Beeke and Jeff Pollard, May 24-25th in North Providence, RI for the Christian Family conference. This is a free conference sponsored by Grace Community Baptist Church and Quidnessett Baptist Church. You can find more details here. The Bible teaches us that Christian singing is both self-conscious and intentional. It is designed to be emotionally rich, intellectually deep, theologically sound, relationally connected, evangelistically self-conscious. It is a contact sport. We do well to remember the consequences of passive fatherhood. These consequences can be illustrated by the tragic situation in 1692 where the backbiting and talebearing of eight young girls between the ages of 7 and 16 brought accusations against 120 people for witchcraft.